Chub – one of the most aesthetically pleasing fish found in our rivers. The colours: some a beautiful golden bronze and some a silvery grey, with a dark back and black edging to the fins. The most easily identifiable part of the chub is of course those great big white lips, attached to that cavernous mouth. Chub seem to be distributed throughout most of the UK and are even rumoured to be in Ireland, despite the official line. They are the most accommodating of fish with a catholic taste and make bait selection almost endless. Most chub anglers have their personal favourites. Whether it is cheesepaste, casters, maggots, lob worms, slugs, fruit, bread, fish baits, boilies or pellets. Really the list of possibilities is endless. Try anything and everything and you’ll be surprised and probably delighted by the results. Winter, for many, is the real chubbing season. The keen chub angler is prepared for any weather nature can throw at him. Ideal conditions though, are without doubt, spells of prolonged dry conditions. Whether it’s freezing cold or relatively mild, it doesn’t really matter. Even the harshest of winter frosts won’t deter the chub from biting, providing they have had a few days to acclimatise to the below freezing conditions. High water during flood conditions is another matter altogether. Best get the barbel rods out and forget the chub for a while. So we move swiftly on to the technique of trotting. A method overlooked by many big fish anglers in favour of a more static approach. However, do not underestimate the power of a trotted maggot or piece of bread flake to entice chub of mammoth, nay, mythical proportions! The basic principles of trotting are fairly simple. So I’ll start with tackle. Rod: Any decent match or trotting rod of around 13 to 14 feet. This may well be governed by the stretch of river you are fishing. If there are a lot of trees, you may wish to use a shorter rod to avoid overhead branches, otherwise a 13foot rod is about perfect. Look for something with a nice tip that will be able to pick line up off of the surface at a distance. Don’t go for anything too pokey either, or you’ll suffer hook pulls galore. Ideally a nice tippy, soft, through action match style rod is perfect. 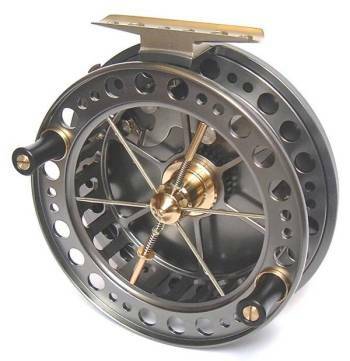 Reels: Centrepins are perhaps the purists choice and that of the more experienced river angler. However I can assure you that with very little practice, if any, you will be able to fish quite effectively with a pin despite being a novice. 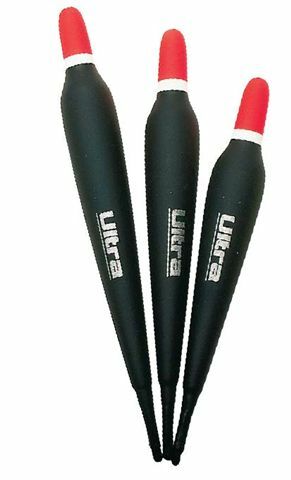 They are simple to use, offer a smooth presentation of the float and unparalleled control of a hooked fish. Centrepins are essentially a rotating drum. Most, these days, have ball bearings and so are incredibly free running. The mere weight of a float being carried along by the slightest current will be sufficient to turn the drum of the pin, thus allowing line to be taken from the reel. The float goes with the natural flow of the river. You can control the spinning of the pin further by using your thumb as a brake. a release button on the front of the reel. The spool of line is enclosed within the outer housing. Line spools off the reel once the button has been pressed. The flow of line is then controlled via your finger. This system allows line to leave the reel in a very free running fashion and suits trotting perfectly. Fixed spool: The standard coarse fishing reel. With the bail arm open line can spool off quite freely and as with the closed face reel, can be controlled with a finger. 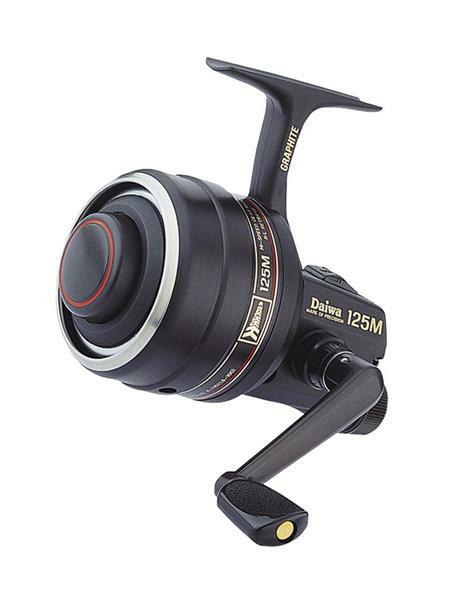 This is perhaps the least favoured reel for trotting as it is harder to control the line as effectively. However in experienced hands it can be every bit as effective as the centrepin and closed face varieties. Line: Any good quality floating line will suffice. Something along the lines of Drennan float fish is as good as you’ll get. You can always add some grease or floatant spray to your line to make it float, if it doesn’t already. Breaking strains vary depending on the style of the river your fishing. If it’s very snaggy or has heavily overgrown banks for instance. Generally speaking for chub, I would suggest around 3lb breaking strain lines. You always have the option of using a lighter hook length if the fishing is proving to be slow. Hooks: A good quality hook should always be used and should suit the bait you intend using. It is obviously no good using a 10 or 12 hook if maggots are the bait of choice. Always try and balance your hook size to suit the bait. 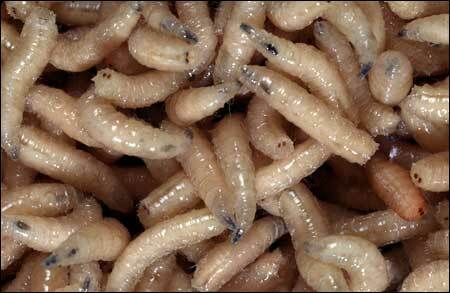 If using maggots go for a 14, 16 or 18. You may even wish to use hooks to nylon for a lighter hook length. However, I generally find this unnecessary. Bread flake can be used with anything from a size 4 upwards. Split shot: Try and buy a good quality split shot. They can damage lines especially in lower breaking strains, so attach with care. If you need to move the shot up or down the line, make sure it has been opened sufficiently so as not to cause any damage. During a fight with a decent chub, your line will be under immense pressure and any weakness caused by line damage will result in a break off. A good idea is to thread some micro tubing onto the line and attach the split shot to this. However careful attachment of shot will generally not prove to be problematic. Floats: Float selection can vary greatly. There are many varieties that suit this method from chubber floats, balsa trotters, avons and sticks. Each has it’s own merits but my preference is for the balsa trotters and the short stubby chubbers. My approach to trotting is very simple. I think that’s why I like it so much! I currently use a Drennan Matchpro Ultralight 14 foot float rod coupled with a Young’s Bob James centrepin. A match made in heaven. Line is usually around 3lbs breaking strain and I prefer to use Drennan Float fish. Floats tend to be of the Avon style and occasionally balsa trotters or stick floats. Weight of the float varies depending on flow conditions. As a general rule of thumb I go for one with a 3-4AAA rating. If the flow is fairly heavy then I will step up to a 6 or 7AAA. These are fixed top and bottom with float rubbers. One thing worth mentioning at this stage is make sure that the float rubbers are a tight fit, otherwise your float will move on the strike and gradually work its way down towards the hook. You will forever be readjusting the depth, which can be very annoying. Once you have selected your float and fixed it to the mainline, tie on your chosen hook. I usually fish straight through. In other words, I do not tie on an additional hook length or ready-made hook to nylon. This is entirely up to you and obviously conditions may dictate otherwise on occasions. I like to use a palomar knot which I find extremely reliable. I use Drennan or Kamasan hooks in sizes 14 – 18. If I’m using larger baits, then Korda wide gape and the Gamakatsu G-Point specialist wide gape are very good. Hook choice obviously depends on the bait you intend using. I like to trot with 2 or 3 maggots so go for a size 14 – 18. If I’m missing bites I’ll change to maybe a single maggot on an 18 to see what happens. If you do experience missed bites don’t be afraid to change hook sizes, bait or even line diameter in an effort to connect with the fish. Once you have tied your hook of choice it’s time to attach your shot. Go for a nice soft shot that you can squeeze on with little effort. This will minimise line damage. You may wish to attach different styles of weights with float rubbers. Dr Mark Everard recommends masonry nails in his excellent book the Complete Book of the Roach. With a bit of lateral thinking you may come up with a great idea of your own. If you do, please let me know! If you are using say a 3SSG chubber, then use AAA shots instead. Start 18-24 inches from the hook and attach a line of AAA shots in a neat row. This then offers a very neat presentation and causes a lot less disturbance due to the lower resistance on the strike than several large, bulky SSGs. It may well take 7 or 8 to get the float to sit right in the water, with say 1 cm showing above the water level. You want to be able to see the tip in varying light conditions and sometimes up to a distance of 30 -50 yards if long trotting. Then add a small dropper shot about 6 – 10 inches from the hook. Again depending on flow you may wish to use something like a number 6 or 4. In very heavy water I like to put 2 small shot together as a dropper. I think it looks a lot neater then say a bb shot. Your now set to start fishing……well almost. When fishing in flowing water it is rather difficult to plumb the depth in the conventional way that you would employ on a Stillwater. The best way to check the depth on the river is simply by trial and error. Set your float for say 3 feet. If the floats sweeps downstream unhindered, then deepen the float by moving it up 6 inches. Keep doing this until the float starts to dip under. Once this happens you know that either your dropper shots or bulk shotting are catching on the bottom. You can generally differentiate between the two. If it’s the bulk shot, you tend to see either the float lying flat for a second or two prior to being pulled under or it will appear to be pulled under at an angle which is ahead of the shot. If this is the case you will know how much to shorten the depth setting of the float. If it’s just catching the bottom and dipping slightly, then decrease the depth by half an inch to one inch increments until you are happy that you are fishing with the bait just trailing the bottom of the river bed. 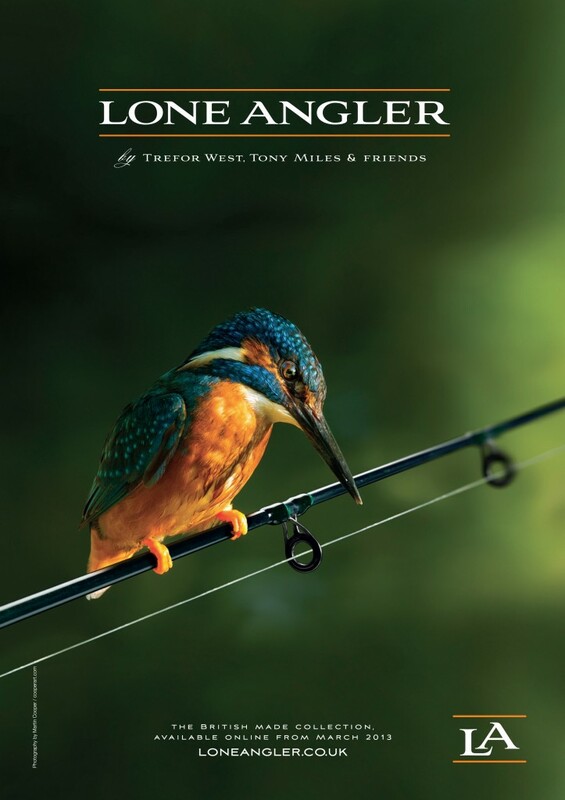 At this stage it is useful to note that this method of fishing will highlight all sorts of contours and depths on your stretch of river, very useful when returning with say an Avon rod or quiver tip in search of barbel and chub. Another useful trick is to set the float over depth and hold back as the float progresses down the river. If you simply stop the flow of line with your finger the weights on your line will swing upwards in the flow, allowing it to continue down the swim even though it is set over depth. Keep holding back and releasing and try it on several lines down the swim you are fishing. This can sometimes highlight a deeper hole or deeper run. What generally happens is that your float keeps getting pulled under as it is set too deep for the swim. Then suddenly it seems to ride downstream very smoothly and without obstruction. You’ve just found a deeper area. This is invaluable for finding fish, especially in the winter months. If you trot on a regular basis you find yourself doing this as a matter of course. During the winter months I do favour maggots as both a hook bait and as loose feed. Obviously you can try just about anything as a hook bait, but maggots certainly are a supreme choice as loose feed as is hemp. On arrival at the river, I’ll select a swim and start to feed in small handfuls of maggots whilst setting up. A small handful every few minutes initially to get the chub active and increase confidence. Then once I start fishing I throw in a small amount every cast. If I’m not getting any action after half an hour or only small chublets, I’ll throw in a few bigger handfuls to see if this brings the bigger chub on. If after an hour I haven’t connected with a decent fish, I’ll move to a new swim. I enjoy a mobile approach and love fishing lots of different swims. Some people prefer to keep the feed going in all day and this may well eventually draw in the bigger chub. If this way suits your fishing then give it a go, otherwise keep moving. You can of course adopt the exact same baiting tactics with any bait. Perhaps in the Summer you may wish to use say pellets or boilies as a hook bait and feed with maybe micro pellets or casters as loose feed. Whatever bait combinations you decide to use the principles are much the same as outlined above. This is always a difficult one to try and advise on. However in my own personal experience on the rivers that I fish, I find myself trying just about anywhere. Even if you don’t catch, at least you’ll gain some knowledge of what the contours and depths are like in a swim. One of the rivers I fish in the South East is fairly narrow. This of course makes both casting and presentation very easy. However the types of swims are still very much the same on any size river. I like to try long glides (fairly long straight sections with consistent depth), deeper holes (these can be several yards long), shallow stretches deepening towards the end of a run, deep areas which shallow up at the end of the run, tree or rush lined margins (either bank), any overhanging bushes and trees creating an overhead canopy, areas where the river narrows up after about 10-20 yards or then enters a set of rapids or small boulder weir, any section of slacker water running parallel with the faster main current (a crease) and of course gravel runs between streamer weed. In fact just about anywhere is worth a try and by trial and error you’ll soon discover areas that are consistently productive. Casting of all floats attached by float rubbers tends to be a side cast. This is where you sweep the rod round from the side and flick the float out. You must though, at all times, control the passage of the tackle with a finger on the line. Prior to the tackle hitting the water you need to stop the line. This will ensure that the tackle straightens out before landing. Otherwise you will be forever getting tangled. Overhead casting can be very tricky although not impossible. For a comprehensive essay on casting please see the Centrepin Reference by Paul Whiteing. This is perhaps the most crucial part of the operation and very simple to execute. Once you have cast, simply allow the float to go with the natural flow. You simply achieve this by allowing line to leave the reel. What you must do at all times is to keep the line behind the float and as straight as possible to the rod tip. This will ensure that it travels downstream in a smooth and natural way. With the tip of the rod, correct the line as necessary, using a rotating flick to pull the line straight again. You can control the speed of the float by simply using a finger to slow down the amount of line coming off the spool of your reel. In fact, every so often it is very good idea to stop the line altogether. This will make the bait flutter up in the water, due to the flow, in an enticing manner. This will also help correct the line. Quite often, holding back the float in this fashion is shortly followed by a bite. If you allow the line to snake down the river and get ahead of the float, it will pull the float off line and across the flow. You won’t get too many bites if this happens as it offers such an unnatural presentation of the bait. This is a very simple procedure and soon becomes a natural action that you really won’t even think about. This pretty much sums up the basic principles of trotting. I quite often find on my first trot through the float disappears and there’s that tell tale heavy weight on the end. Sometimes it may take 10-15 minutes, or after catching small fish for 30-45 minutes you’ll suddenly connect with something a little more solid, other times it doesn’t happen at all and it’s time to move on. When you do connect you’ll be wondering: is it snagged…nothings happening….a bit more pressure…it’s moving I think…..then…thump, thump, thump as a good chub decides to make it’s move. It is always a thrilling moment for me, because at this stage you just don’t know how big a chub is on the other end. Playing a decent fish on a nice trotting rod and pin is second to none. You will be in direct contact with the fish using a pin and the control is exact. When you finally draw those white lips over the net and hoist your reward out of the water you can stare in wonder at those beautiful silver grey flanks of a 3,4 or 5lb plus chub. One things for certain: you will feel very satisfied with yourself and the world will seem a better place! Thanks for the comments Tony. It’s just such a great way to fish, especially in the winter months. Very usefull with all aspects covered one other thought for replacing shot are olivettes . They come in all sizes are streamlined and can be held in place with soft line friendly legal no.8 lead shot. Definitely Joe. I know one or two people that use that method and it works fine. I’m still happy with the soft shot that is available now but I’m keen to try new things. This is one method I have meant to try for sometime but just haven’t got around to it. Next season it will be high up on my list of to do’s. Hi Dek, I use the extra heavy tungsten putty for waggler fishing and have done for some time but have yet to try it out on the river. I intend to give it a go this winter and mould it around a hooklink swivel. Considered float stops but prefer the idea of a swivel especially on light line set-ups. I do this also but on most occasions I fish straight through only using swivels when bait is twisting in the flow causing kinks and knots.Using a hooklink is not a major problem but for me i have more faith in my end tackle when connected to bigger fish knowing the only weak link is my hook. I do occasionally fish straight through but only when using heavy line for say chub. However its quite rare, as I do prefer to use a lighter hooklink in case of breakages. I also find that when fishing for grayling in particular, that line twist can be a real problem and so a swivel comes in very handy. Quite how well it would work with putty around it remains to be seen. What area do you fish Dek? Mainly warks Avon and Severn as they’re local and between them there’s a good choice of venues to be fished on one licence. Great area to be based. Only fished the Severn once at Worcester. Hope to get another chance next season. First thanks for this article. I’ve seen in one of your publication that you have the Drennan 13ft power float rod. In your opinion, would this rod be a good choice for trotting. I’m looking for an all round rod wich will be suitable for chub, barbel & big roach. Hi Thomas, thanks for looking in. In all honesty I’m not sure it’s a case of 1 rod fits all. The Matchpro Ultralight can certainly handle big fish but in all honestly its best suited to silver fish and chub. For big chub and barbel I’d be inclined to step up slightly to something better suited for the job. However the 13ft version would certainly cope with small to medium sized barbel, say up to 5 or 6lbs. I just think on a faster flowing river it may struggle with big fish say 6lb+. I have just purchased the Drennan Power float rod to fish specifically for barbel and also good chub. It has more backbone and should deal with the bigger fish in fast flows much better. It can be used with lines up to around 8/9lbs, whereas the Matchpro Ultralight is rated up to about 4lbs. Well I think I’ll go for the Matchpro rod (maybe a14ft) as the strech of river I’m fishing (the Maas in east of France) is more populated with chub & roach than barbel. Thanks for the answer & greetings from Belgium! Hi Thomas. You certainly won’t be disappointed. The Matchpro is the best float rod I’ve ever had. It handles beautifully, its well balanced and picks line up on a long trot very quickly. I’ve had barbel to 10lb 5oz on it, although in a slow paced river. What is the Maas like? Big, small, narrow, deep? What do you fish with bait wise? I have to say that the Maas river (at least the strech I’m fishing) is a bit of everything. I would see it as a medium size running river with time to time small & medium size pools. Here’s the GPS coordinates 49.442731,5.183507 (for google maps). Maggots are nearly the only bait use by the locals & they rarely use it for loose feeding (maggots are as expensive as champagne over there…); they prefer to use hemp. Myself, I use a “wider range” of baits from corn, hemp for losse feeding, worms, bread during winter time to pellets (but more for loose feeding). What’s nice with the strech of river I’m fishing is that there’s practically no angling pressure on coarse fish as locals are only fishing for pike with livebaits (gudgeon or small roach). For the rod issue one more “last question”. Would the “general” Matchpro rod would a good in-between choice as it copes with a line up to 6lb? Is 4lb not a bit light even for chub? 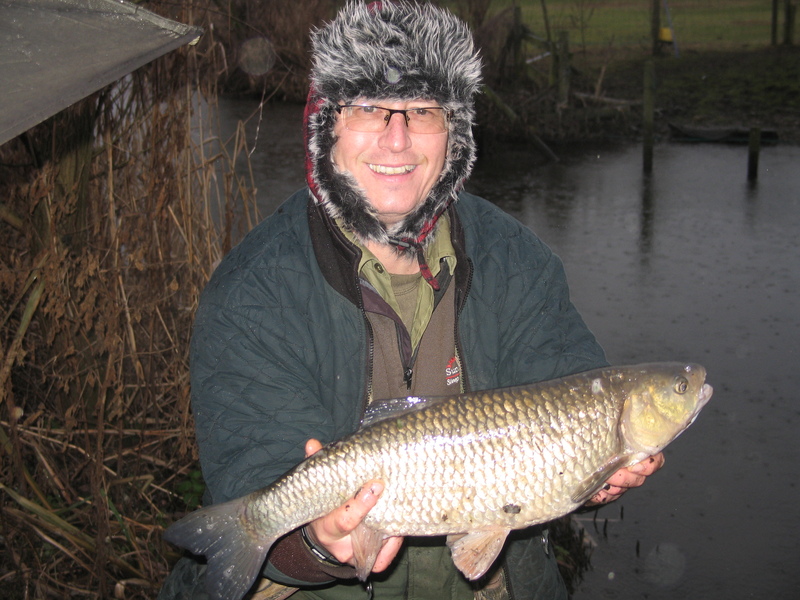 Hi Thomas, sounds like a great spot…not many other anglers and good roach, chub and barbel. I would say the Matchpro sounds like the ideal choice. With a line rating of 2 1/2 to 5lb or even 6lb suggested, it seems better suited than the Ulralight. I can assure you of one thing; Drennan do not make rubbish products, so you know it will be a great rod. Good luck Thomas and keep me posted on how you get on. it has performed every bit as good as you said it would. Thanks for the update Tony. They are a great bit of kit. It will soon be that time again but that said I’m looking forward to some winter chub and grayling fishing too. I must of missed this one Nathan , not like me , lovely read as always , very informative , have to agree using a pin is a great way to fish and twinned with a Matchpro makes it even more enjoyable , once again a great read , Regards matey , Nobby ..
You’re a gentleman Nobby. Have you been out lately? I need to get out and catch a few fish but I see there’s more rain forecast. Will it ever end?! I have just started river fishing, caught a few perch and pike on lures, apart from that done a few seasons of fly fishing on lakes and fisheries. Now I have started to gain an appreciation of what can actually be done on rivers, fascinating. Your site is wonderful, so as soon as conditions allow I will be off down to my local river/s to see what I can do.Course fishing is any thing but, 2 Lb hook lengths is quite a bit finer than trout fishing. Hi Bryan, thanks for looking in and I appreciate the comments. As with all things fishy, it can be relatively crude but it can also require a high level of finesse. I guess that’s why I love it so much. So many different methods and tactics. Whereabouts do you fish? I fish in the North East of Yorkshire, Swale, Ure etc, I used to live in the North East of Scotland and fly fished in a wonderful little river called the Bervie. As we all know course fishing is not really so popular up in Scotland. But now I am here I have found it to be more than just putting a maggot on a hook. Catching a wild fish from a river is just one of the absolute joys of the sport. The amount of species around in these rivers is brilliant.Therefor the different methods I can employ to catch fish is really endless. As I look to the future all I can say this is only a good thing, it will make me a far better all round fisherman and included in that is the hours spent on the river in a remote swim also allows me to observe nature without interruption. I try to fish away from the common and easy to get to swims as I think its not really pitting my self against the real river, nor will I learn any river craft fishing from the car park. I do fish all year round, but fishing in winter is the real challenge, what I learn in winter I can employ in the long days or summer, find a good swim in winter and visit it again in summer, fore armed so to speak. Bryan I can’t disagree with any of that. The more you explore and the more time spent looking, watching and plumbing the greater the rewards will be. Plenty of barbel and chub in the Swale I believe. I’m sure there’ll be roach and dace too. Keep learning and enjoying. It’s a great sport and there’s nothing better than a lightly fished river to loose yourself on occasionally. What advice for those pesky crayfish ? A large pot of boiling water Martin!! Hi Justin, thanks for looking in and great to hear you’re making a return to fishing. Good luck with tortoise chub and thank you for the comments. Please keep us posted on your progress.